In retrospect, Forgetting Sarah Marshall shares many elements in common with another 2008 movie: Iron Man. Both were launching pads for a plethora of separate, but ultimately inter-related films. Screenwriter and star Jason Segel told New York Times interviewer Dave Itzkoff that both the naked breakup and Dracula puppet musical scenes were drawn from his real life experiences. In the article, Segel admitted that he really did once have a girlfriend who broke up with him while he was completely naked (although rather than being devastated during it, he thought to himself, "This is hilarious. I cannot wait for her to leave so I can write this down.") And before he was a successful actor, Segel tried to write a musical adaptation of "Dracula" for puppets. Now having had a successful starring role along these very realistic lines with Forgetting Sarah Marshall Segel is now co-starring in the new Muppets movie, for which he also co-wrote the script. (He sadly sings the Muppet Show theme song on the piano before dissolving into tears at his lowest point in Forgetting Sarah Marshall.) Russell Brand, who stars here as spacey British pop star Aldos Snow, later reprises his role in 2010 in the spin-off sequel Get Him To The Greek. Not only that, but Jonah Hill stars in both films as different characters, but each of whom worship Snow and put up with abuse to be around him. It is part of the Marvel Cinematic Universe, which crosses over several Marvel superhero films including Iron Man (2008), The Incredible Hulk (2008), Iron Man 2 (2010), Thor (2011) and Captain America: The First Avenger (2011). Iron Man came out in May and The Incredible Hulk came out in June so it's still technically first. Plus, Iron Man made twice as much money, so it's success was the real reason for this franchise's existence. Just like Forgetting Sarah Marshall! It's great. Go see it if you haven't already. The extended version is even funnier. 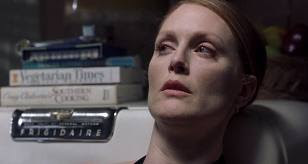 The main problem with Hannibal is the replacement of Jodie Foster with Julianne Moore in the role of Agent Clarice Starling. That is, if anyone could ever said to have replaced such an iconic role. It just reminds us of the move that could have been. By the time Jodie Foster said "no" to reprising her role from Silence of the Lambs the whole production should have scrapped the idea of bringing her character back. The reunion of Dr. Hannibal Lecter and Starling is only thrilling because it was denied to the audience in the original 1991 film. It's a reunion of two actors who were last seen together in 1996's Surviving Picasso. This was not a sequel to that movie, nor is it a true sequel to Silence of the Lambs. None of that is to say that Hannibal is a bad movie, it isn't. It is most interesting when it breaks free of the very thing that makes it exist in the first place. The plight of the tortured (emotionally, and later in a more physical way) Italian cop, Insp. Renaldo Pazzi (Giancarlo Giannini) is an attention-worthy subplot. The locations are stunning and make watching such a casually violent movie beautiful and interesting to look at (the doctor has excellent taste in countries to flee to in case of manhunt.) I mean, whatever else it is, it's still a Ridley Scott movie starring Anthony Hopkins with a script co-written by David "Glengarry Glen Ross" Mamet. It's hard to believe it's been 10 years since this movie came out, but it hasn't stopped being creepy. Thankfully, they haven't neutered Lecter once he's off the chain. There's really nothing you wouldn't expect Lecter to do. He has no lines left to cross. The first time I watched the final dinner scene I couldn't stop laughing. I couldn't believe what I was seeing. At the time I thought it was because it was funny. I think in retrospect I was so shocked I reverted to laughter because I didn't know what other response was appropriate. I had no expectation or frame of reference for what I was experiencing. That's the best kind of horror movie.